We are fond of the remark of Winston Churchill that democracy is the worst form of government—except for all the others. While witty, this may not be totally true. Many of the folks I know tell me that they cannot vote for either candidate in November. Powerful reasons are given about why each candidate would be a disaster in the White House. Since we already have had a disaster in the White House for eight years, this is not a strong argument. We are often reminded of our “moral” obligation to vote. Sometimes we are even admonished to vote “wisely”—voting and voting wisely not necessarily being the same thing. Such wisdom in deciding recalls Solomon’s famous decision that identified the real mother of the child to which two ladies had claimed to be its mother (1 Kgs 3:25). Solomon craftily proposed cutting the child in half and giving each lady one half in justice. The real mother, as Solomon foresaw, did not want the child cut in two no matter who owned it. In our abortion-saturated culture, about which few are willing to talk directly, this case is not such a bad thing to think about when it comes to the election. The abortion industry and the candidates supporting it take the side of the mother who was willing to have her half of the cleaved child rather than letting the whole child live. About a month from the elections, we are in the business of “predicting” who will win. My own prediction record is about as valid as my spotty record in predicting winners in the Kentucky Derby, the World Series, or the Super Bowls—namely, terrible. This coming election is said to be different because millions of voters are not telling any pollsters their real preferences. No one connected with politics is trusted. 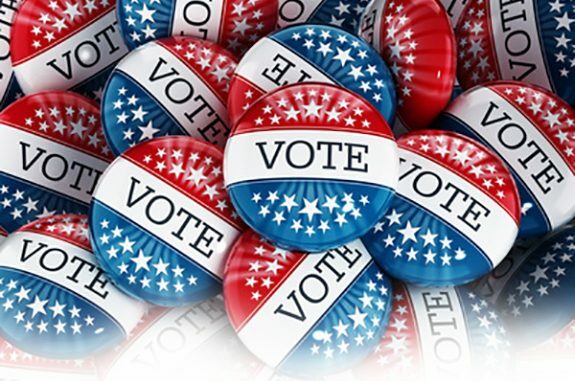 About sixty percent of eligible voters actually vote in presidential elections. The other forty percent are said to have had it with both parties. These non-voting, had-it-with-politicians voters are said to be Mr. Trump’s hope. They may be, but for now, evidently, they are not talking. I have enjoyed what I call the greater evil argument. The premises are these: both candidates are terrible, but one awful candidate will win. Therefore, vote for the lesser evil. Of course, the key issue remains: “Which one is the greater evil?” It is in fact a good decision to vote for the lesser evil. Not to vote at all is simply another way of helping to elect the greater evil. We long for the olden days when both candidates pretty much understood the distinctions of good and evil. They vied only on issues of prudence. The central issues today are about the difference between good and evil. Indeed, it is about whether there can be anything that is “evil” except calling something evil. We deceive ourselves if we think the issue anything less. Moreover, if both candidates are as bad as they are pictured to be, and the baggage each carries is often startlingly bad, evil consequences will result from whoever is finally elected in November. One set of evil consequences will follow if Mrs. Clinton wins. Another set will follow is Mr. Trump wins. Take your pick. Either way you lose by winning. Once the decision is made, we are locked into the terrible agenda of the winner, even if our choice of the lesser evil wins. And not just “we”, but the whole world would be affected. Mr. Obama has almost totally changed the country. He has managed, with the help of the courts and most of the media, to concentrate power in the presidency and bureaucracy. Congress has become mostly irrelevant. Mr. Obama has ruled by edicts and decrees, by enforcing only what he wanted to of the laws. The Constitution and Amendments have meant very little. Neither served in practice to restrain his subsuming much of American life into the hands of the government. If we ask how he managed to do it, it is all in Aristotle’s discussion of the decline of regimes. So, in some sense, the election has to be an act of intelligent discernment on the part of individual voters. We are fond of the remark of Churchill that democracy is the worst form of government—except for all the others. While witty, this may not be totally true. What is disappointing about democracy is precisely that it often brings forth candidates who are not worthy. “But he who is without sin, let him cast the first stone.” In this election, or any election, no one who is perfect is running for office or voting for a candidate. The politics of imperfection is what we have. So where are the worthy candidates when we need them? Democracies can also have more worthy candidates but not recognize them. In fact, it is likely not to recognize them. This is why our founders did not propose a democracy but a mixed regime whereby such dangers could be somewhat counteracted. The political implications of the doctrine of original sin meant that no office would be held by a person who was not subject to all the vices of our kind. I see no reason to change this view. But, let me recall two Latin aphorisms: Ex bono, sequitur et bonum et malum. Ex malo, sequitur et bonum et malum. We may react to evil by bringing forth good, just as we may react to what is good by bringing forth evil. This is what it means to have free will in a fallen, finite world. This is why we can be discouraged but why we should not despair. But enough with such abstractions! Are you not going to tell us which is the lesser evil? Schall is a covert believer in what is called the “Drinan principle”—namely that the clergy ought to stand rather outside politics. This view originally presupposed that there was a difference between the things of God and the things of Caesar. So if, say, one candidate were to affirm that all religion should conform themselves in all matters to the positive laws of the state, whatever they are, would not this explicitly violate the Socratic civilizational principle that it is never right to do wrong? Yes, I think it would. And I will let things rest at that. But what about the “seamless garment?” Isn’t this a “single” issue? Yes, it is. And it is the one single issue that if it does not hold, nothing else much matters.